John – I think you are missing the point of the Laffer Curve. Sure, taxes are high in those other countries just like they were higher in our country prior to Reagan. However, when Reagan lowered taxes, the “rich” declared far more taxable income and thus paid more taxes. The same effect can take place in other countries, as well. Perhaps you’ve noticed how Canada lowered their Corporate tax rate and even the UK is considering doing so? @Alex makes entire sense. The Laffer curve is common sense as well as mathematical sense. Just look at the several states and the impact of tax hikes and cuts on each one’s income. There’s enough data there to provide unshakeable comparisons, genuine empirical evidence! Just heard a piece on NPR’s Morning Edition (11/15) criticizing the Republicans number of expected job losses from the tax increase on the wealthy. According to John Itstee (sp? ), the CBO (which the piece painted as the more reasonable analysis) said that the 200,000 jobs initially lost due to tax increases on the weatlhy would be recovered in the long run because of the economic benefits of reducing the deficit. With just a moment’s logical reflection, one can see that, therefore, we should raise taxes even higher. If a 40% tax rate would create more jobs in the long run than a 35% tax rate, then let’s go for 80, 90, or even 100%. I think there is one flaw in the Laffer curve: It misses one important variable, which I would call an effectiveness of the government. I understand that the whole functioning of the Laffer curve was tested on the US, which is OK and I don´t reject the evidence. But what about Europe or Canada? They have higher taxes, yet they don´t have problems with the “rich” paying them. Why? I suggest you to check How to Fight Global Economic Crisis, I think it speaks clearly about how the taxation grows and also includes the important variable, which is apparently missing in the Laffer curve. OMG, a ‘believer’ in Laffer Curve. It is trivial math. The tax collection is continuous function, tax collection is zero on both ends hence there is a maximum somewhere in between. Taxes decrease the end value of work compared to the myriad non-pecuniary away-from-work activities one can engage in. Non pecuniary activities that increase one’s standard of living more than tax haircut income, but otherwise do little for the very “people” trying to extract the taxes. And if “free stuff” lowers even more the threshold of indolence, then all the more the better for those who opt to withdraw from the rat race of what used to be the most dynamic economy in the world and the most prosperous nation in the world. Once the most important basics of life, such as healthcare, education and housing is provided unconditionally, few people, including otherwise competent people will strive for more. One immediately realizes this once they start working in Europe and compares the motivational and ambition levels of Americans, with fewer safety nets, to the otherwise more competent (we are talking about averages here) European individuals with lower correlations of exceptionalism/reward. Of course, the very subdued upward mobility and anemic growth rate trendlines of Europe, which plague otherwise very competent European individuals, are perhaps the best testament to the effects of the rather flat effort-reward curves created by high taxation, welfare programs and unimaginative central planning favoritism towards certain industries – those industries approved by the public in their majoritarian collective economic central planning. i.e. planning by average voter intelligence vs planning by total aggregate voter intelligence, which is what free markets and enterprise create. Laffer curve is fine, but “the American people’s” nemesis is the Rahn Curve just as it has been the nemesis of most other nations. You, Americans, are already way past the peak on the Rahn Curve and headed for worse. Welcome naive American people to perpetually compounding European economic growth rate trendlines – down to deterministic decline. 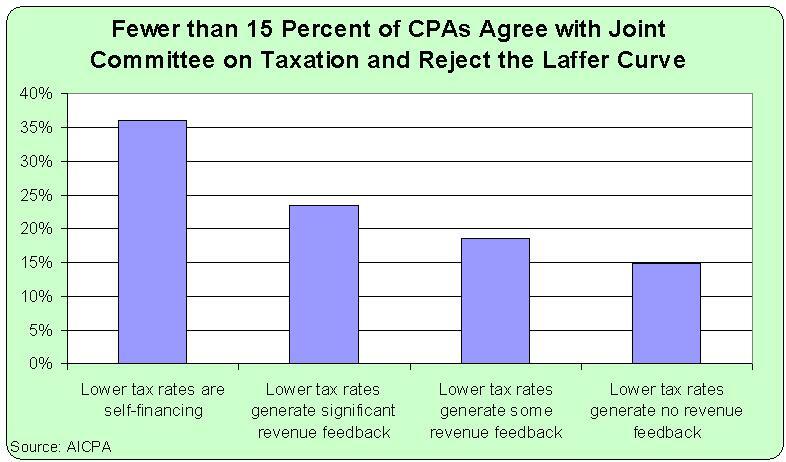 The fact that the discussion is about the Laffer rather than the Rahn curve means that the point of no return for America has passed. A society that operates at the mythical top of the Laffer curve, as the leftist dream would be, is a society that is already grossly inefficient, with growth trendlines that are half or a third of what one could achieve at the peak of the rahn Curve. These top of Laffer curve, maximum communitarian revenue to be distributed by political criteria societies, are societies that cannot keep up with today’s average world economic growth rates. They therefore are, by definition, societies in relative decline. Those who do not understand that the bar of merely maintaining current prosperity is at the five percent annual growth have their heads in the sand. Many irrelevant quarrels will unfold as the once great empire of freedom mimics the rest of the world and declines. That is exactly the stuff declines are made of. Once the vicious cycle of decline takes hold, all rational arguments against further flattening of the effort reward curves will vanish. Welcome Americans to Europe and march together into decline, drowned by three billion sea of emerging world people who are finally on their way to (even partial for now) liberation from mandatory collectivism.